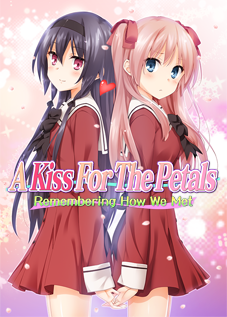 This story takes place some time after Nanami, the protagonist of A Kiss For The Petals, has graduated to her second year. 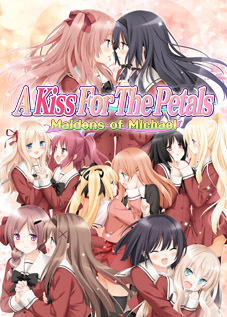 In her first year, Nanami was flummoxed by the high-class ladies of Saint Michael’s School for Girls, but now that she’s in her second year, it seems she’s made friends with whom she can talk openly. But… the other’s secret loves positively taste of honey♪ A young girl’s heart is naturally curious, after all. And in fact, every one of them wants to passionately tell the others of their loves… Yes. 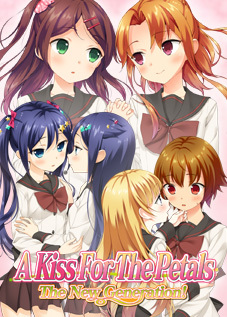 Started in September 2006, shortly after the release of A Kiss For The Petals, this free supplementary short series introduces Nanami’s friends Otsuki Aoi, Shitara Misaki, and Asou Rin. They make appearances in the Nanami/Yuuna light novels Our Christmas Together (available in English via Xenocross volume 1) and Our Valentine’s Together. They are also occasionally seen throughout Fuguriya’s website, such as their front page and FAQ page. This series appears to be incomplete, with its last chapter published in July 2007, one month after the release of My Dear Prince and one month before the release of Joined In Love With You. It seems unlikely that this series will continue, and its canonical status is unknown. That was interesting, it’s a shame the series didn’t continue. …Now that I think about wouldn’t be great if the kid that aoi is tutoring turned out to be Mai’s unseen little brother?